Large Cream Decorative Cylindrical Shape Flower Pot A container used mainly for displaying fresh, dried, or artificial flowers. large cream decorative design with crystal stone floral work . this flower vase is made from terracotta material . 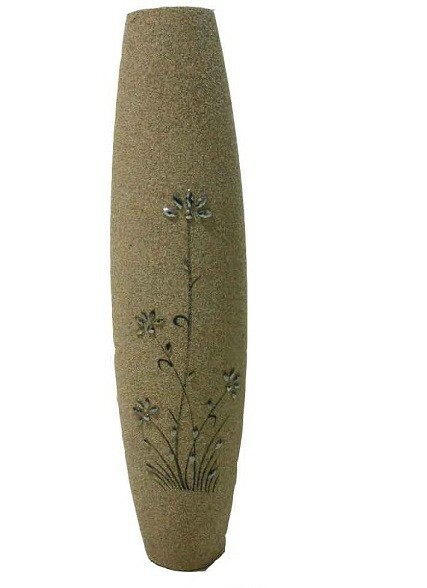 this decorative flower vase is used by home decoration table and any other decoration.